We offer a no minimum quantity guarantee on one colour ink print (any colour ink) on to a range of white, clear or coloured fully recyclable LDPE polythene varigauge carrier bags. 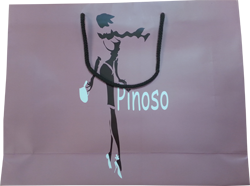 PSK are manufacturers and distributors of eco-friendly printed carrier bags which enables them to take orders on no minimum quantity. PSK have been in the carrier bag printing trade since 1979 and have a vast amount of experience and a well managed production process which meets high standards of quality and provides quick turnaround times. 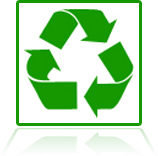 We also have a back-up packaging product range for both industrial packaging and retail sales. So order what you want when you want it! Strong long life environmentally friendly, recyclable and reusable bags for maximum life and maximum advertising. 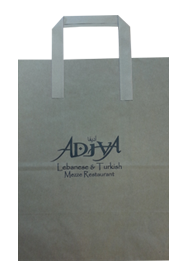 Are you looking for an established supplier to help you choose a suitable paper carrier bag with a choice of handles complemented with a high impacting design to attract walking by traffic effectively? 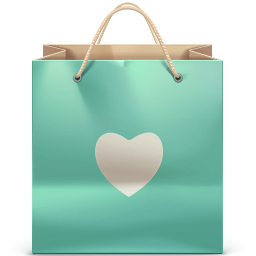 PSK have supplied paper bags for over a generation and have the expert knowledge to consult you with the best possible options for your business effective in both marketing and cost purposes. Available in a wide range of colours or printed to your chosen pantone colour(s) with handles to match, laminated for extra structural strength and waterproofing, available in custom sizes the choice is limitless. With a range so diverse you may require some expert advice from an experienced supplier like PSK that can guide you towards a suitable solution for your needs. 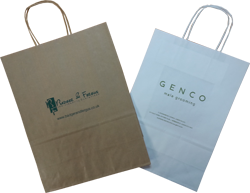 Printed with your personalised brand and message, this is the most common type of day to day carrier bag and has a fast turnaround. Click here to find out more. Available in a wide range of colours and laminated for extra structural integrity and waterproofing, check our Paper page to find out more. For promotion we offer high impact designer bags to make sure your brand is at the centre of attention, get in contact for examples or to discuss your requirements.